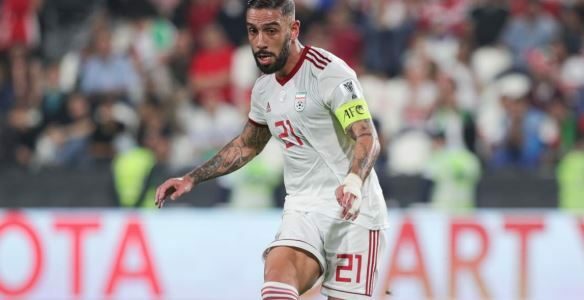 AFC – ABU DHABI, Iran midfielder Ashkan Dejagah stated that they are braced for a tough AFC Asian Cup UAE 2019 Round of 16 clash with Oman at the Mohammed bin Zayed Stadium in Abu Dhabi on Sunday. Oman will be highly motivated after sealing a berth in the knockout stage for the first time and the Iranian captain said that can make it very dangerous for Team Melli, who are chasing a fourth Continental title. “We should only focus on our game, we should be able to put pressure on them from the first minute, so that we can achieve victory,” said the Tractorsazi player. Dejagah played the entire 90 minutes against Yemen and Vietnam but was rested for the Iraq tie, coming on in the final 10 minutes and he has been a rock in Iran’s campaign. Dejagah, who scored once in the win over Yemen, said memories of Iran’s defeat to Iraq in the quarter-finals of the 2015 AFC Asian Cup still burns in his mind. “I still think about it sometimes, it hurts. Because we had a great team, and we were progressing very well. We should be focused every minute, a small mistake can the ruin the game. This happened four years ago.